This is a well-crafted and multi functional bookcase themed by Star Wars. The bookcase measures 14″ wide by 71″ long by 60.25″ tall. As we can see from the images, it’s shaped as AT-AT Walker, one of the most iconic vehicles from Galactic Empire in the universe of Star Wars, and the functional AT-AT bookcase sports accurate contours and those symbolic detailing from its original look. Meanwhile, shrunken design allows it to park against a wall in your house. The AT-AT is crafted of solid poplar, rubberwood and MDF, and hand-painted in charcoal finish for a durable and long-lasting construction. The wooden AT-AT’s troop section is designed to decently show off your valuable books, albums and other collections, and its open design allows you to access to them with ease. Furthermore, the pilot works as a container to hold Star Wars action figures and other toys while the rear holder keeps a few frequently used books easily accessible. Moreover, its four sturdy legs keeps the AT-AT Walker stably standing on the floor, and there is an extra shelf in the middle of the legs for storage of your children’s treasures. 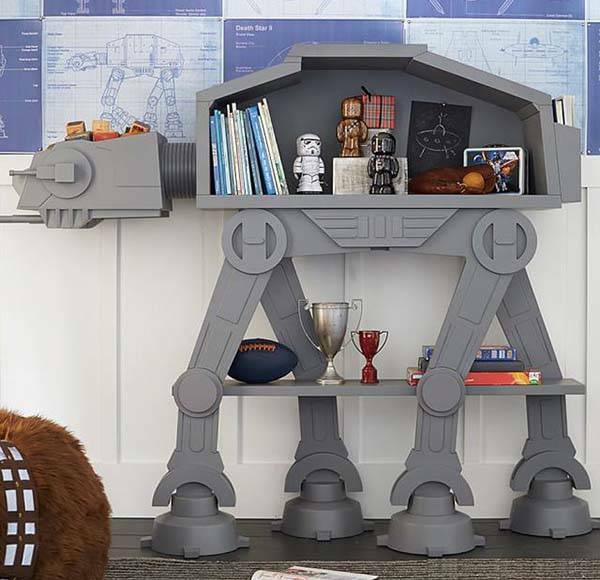 The Star Wars AT-AT Walker bookcase is priced at $1,650 USD. If you’re interested, jump to Fancy online store for its more details. 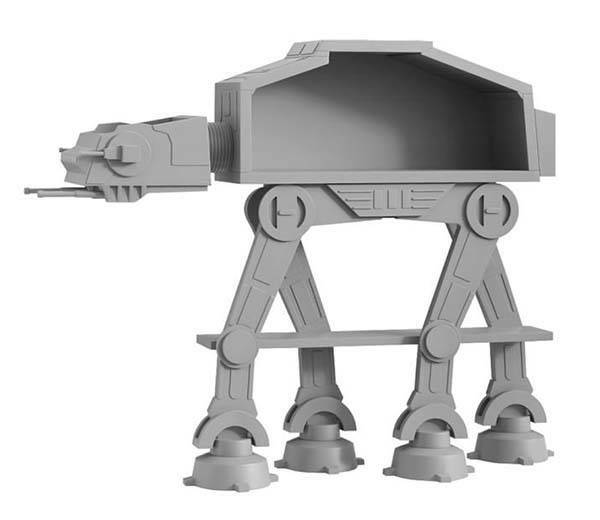 BTW, don’t miss the AT-AT multi stand desk organizer and more cool related gadgets by following tags. This is cool, my kids will love something like this..